A recent study indicates that pedestrians deaths in auto accidents have hit a 33-year high, and two of the potential factors behind the increase may be the hike in smartphone use and the legalization of marijuana for recreational use in states such as Washington, reports KOMO News. This report was conducted by the Governors Highway Safety Association, and its findings were startling. Close to 6,000 pedestrians died in traffic accidents across the US in 2017, and that represents a jump of 27 percent from 2007. Meanwhile, during the same ten-year span, all the other types of traffic deaths dropped by 14 percent. Washington and six other states that legalized marijuana use for recreation between 2012 and 2016 reported a collective 16.4 percent increase in pedestrian deaths during the first six months of 2017 compared to the same time span in 2016. All other states, however, saw a 5.8 percent decrease in auto-related pedestrian deaths. In just Washington alone, pedestrian fatalities were up 22.2 percent in 2017 from 2016. Richard Retting, the author of this study, noted that the early 2017 data is the first chance researchers have to see if marijuana impairment is a contributing factor to pedestrian deaths. According to Retting, early data can be used to identify possible warning signs. It’s important to note that marijuana use alone isn’t accounting for this stark uptick in deaths, as this study also found that around 33 percent of pedestrians who were killed in traffic accidents had a blood-alcohol level above 0.08 at the time, and 13 percent of all pedestrian accidents involved a legally drunk driver. If you’ve been the victim of a drunk driver, contact a personal injury attorney in Marysville about your case. Smartphone use is up in the US, with a reported usage increase of 236 percent from 2010 to 2016. The yearly number of multimedia messages received also more than tripled over that same period. According to the report’s data, the number of emergency department visits related to cellphone use is also increasing in line with the increasing use of the phones in the country, and it may be a factor in the increase in deaths as well. Distracted driving is now a leading cause in traffic accidents, along with previous major causes such as driving while drunk or on drugs. With more smartphones out in the population, there are likely more people driving while using them. Five states – Arizona, New York, Texas, Florida and California – accounted for 43 percent of all pedestrian deaths, the report showed. Hawaii had the lowest rate of pedestrian fatalities per population, while Arizona came in with the highest rate. Washington State came in at 28th overall, with a rate of .58 pedestrian-auto deaths per 100,000 residents for the first six months of 2017. However, Washington did have one of the highest rates of pedestrian deaths at intersections at 28 percent, with the national average being 18 percent. Many factors can cause an increase in traffic fatalities, and some safety experts believe the hike over recent years may partly be a byproduct of recession recovery. People drive more when the economy grows as they can afford insurance and other costs, and populations are also increasing in congested urban areas, where many pedestrian traffic deaths happen. Center for Auto Safety Executive Director Jason Levine said that while it’s definitely worth trying to determine why the numbers are so high, caution needs to be used when drawing direct links to potential causes. The study raised some unanswered questions, including whether any link exists to the use of marijuana by drivers, pedestrians or both, and the extent of that. Insurance Institute for Highway Safety spokesman Russ Rader said that his organization has not studied links between fatal crashes and marijuana use, but he did note that claims from all collisions were up about three percent in states with legalized recreational marijuana. Pedestrian accidents can have serious, and sometimes fatal, consequences for those outside the vehicle because of the difference in speed, size and protection between cars and pedestrians. 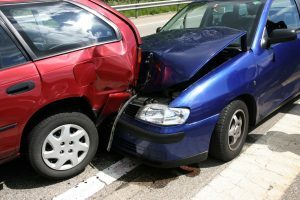 Speak to an experienced personal injury attorney at Feldman & Lee if you’ve been injured in an auto-pedestrian accident.